The addition of all necessary vitamins and minerals to our quality ingredients makes our food complete and balanced. Provides a Natural defence system. 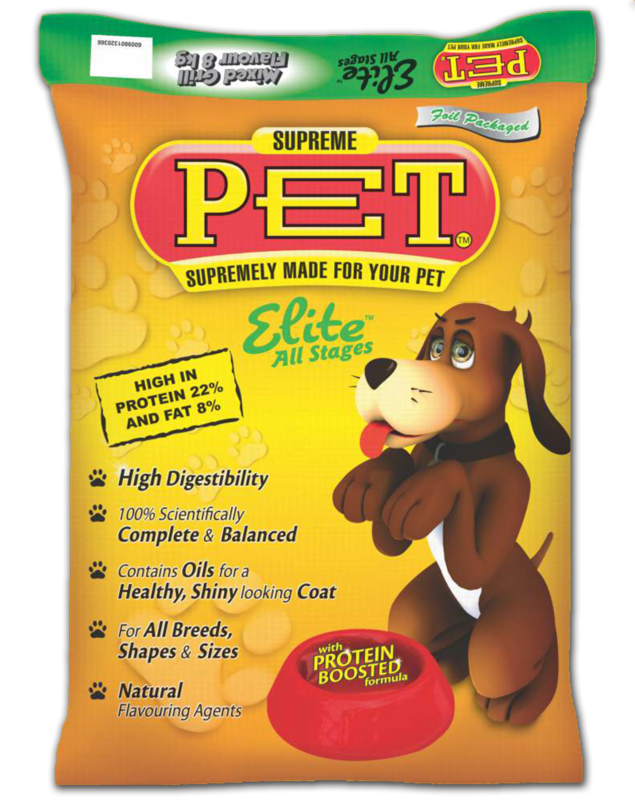 Our high Protein, nutrient dense food provides an energy meal for active, lactating or growing canines. 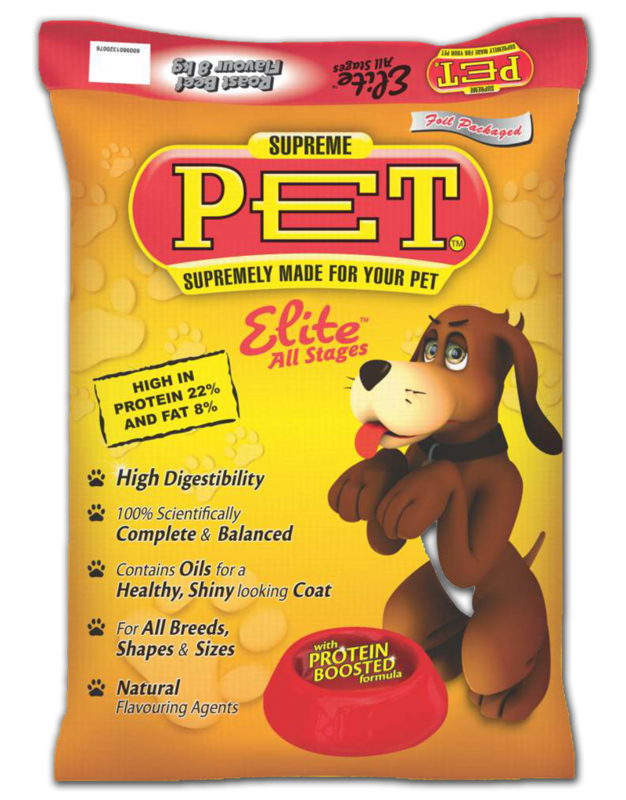 This stabilizes the nutrients and vitamins in the dog food & improves the absorption of nutrients into the blood. Adequate energy to sustain normal activity. 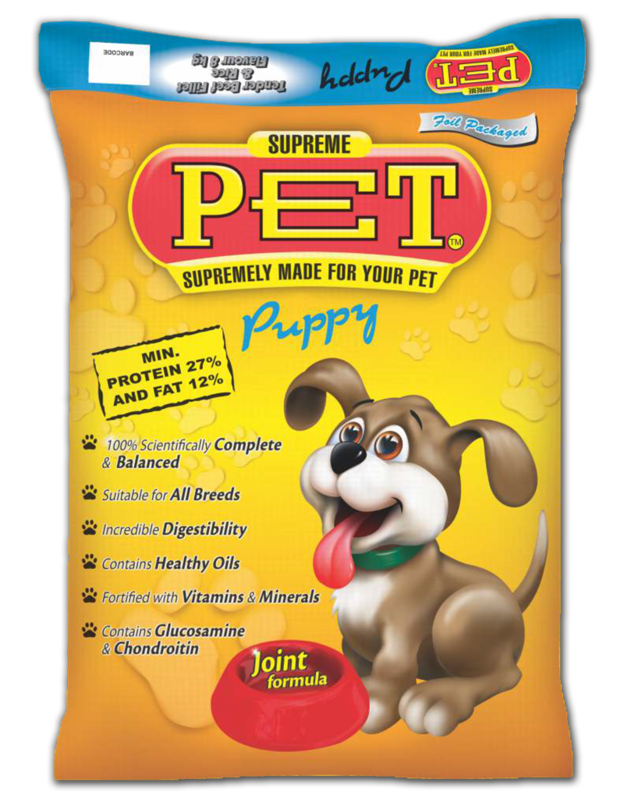 Supreme Pet Puppy – It’s full of nutrition and contains Glucosamine and Chondroitin. High Digestibility – with added rice. Contains all necessary Vitamins and Minerals. Mini chunks specifically formulated for all kinds of puppy breeds. High source of Glucosamine and Chondroitin for maintaining healthy joints. Antioxidants for a healthy immune system. As a Cat owner, you want your cat happy and healthy. 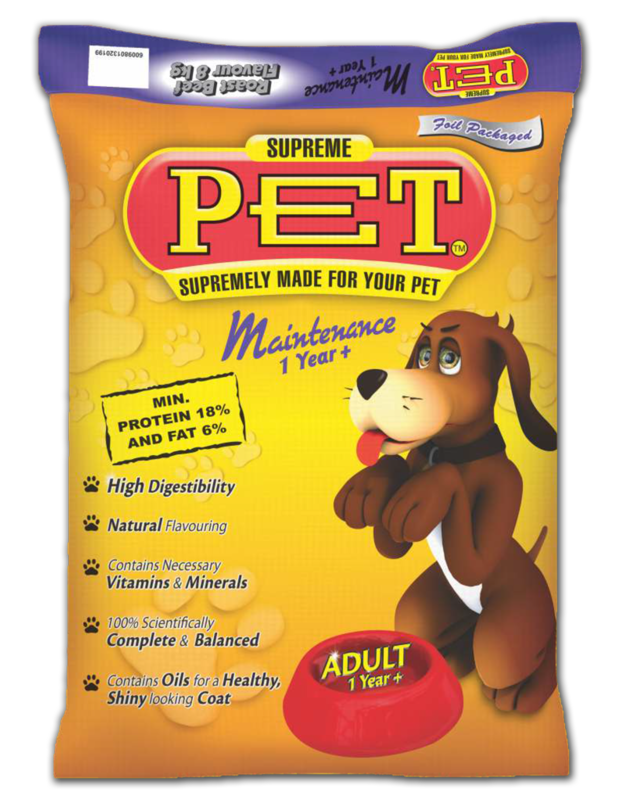 Supreme Pet Cat ensures this, it is full of goodness and is complete and well balanced, bursting with essential vitamins and trace minerals. Your cat will love you for it! 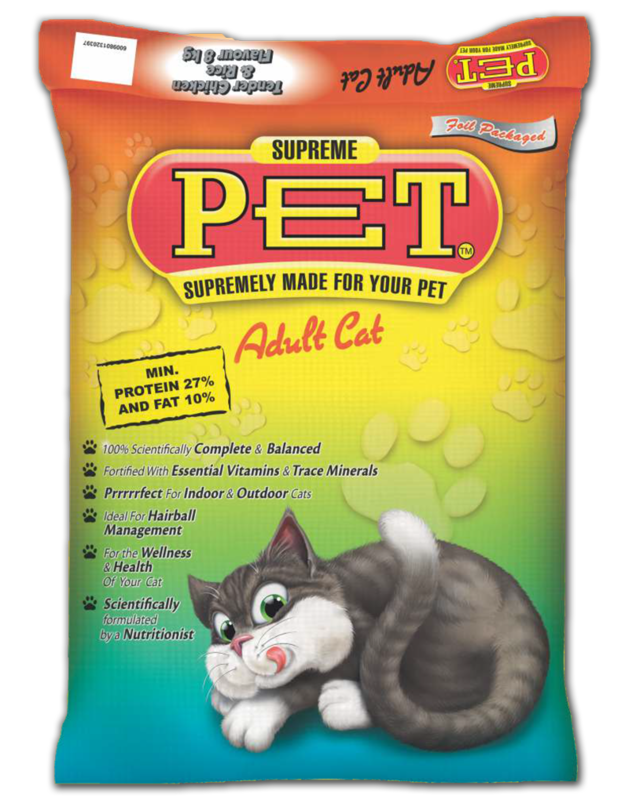 So go on and give your cat some well-deserved love with Supreme Pet Cat food. Basic building blocks of cells, tissue, organs, enzymes, hormones and antibodies. Essential for growth, maintenance and repair. Normal vision, digestion, heart muscle function. Also helps with normal pregnancy, foetal development and healthy immune system. Absorption of fat soluble vitamins. Provides your cat with twice the energy. Helps with structure of cells, production of some hormones and plays a role in healing inflammation. Ensures a prrrrrfectly irresistible healthy skin and coat. Supports vision, a strong immune system, helps build bones and teeth, helps with normal metabolic functioning and cardiovascular system, helps with blood clots and muscle function. Complete the fields below and we’ll update you on our products!